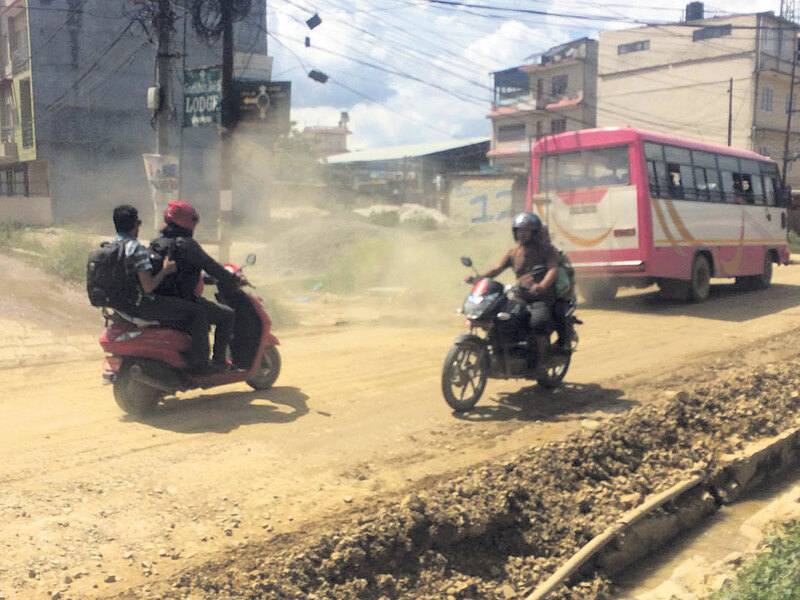 KATHMANDU, July 11: The lack of co-ordination among government authorities has stalled the Dholahiti road expansion project again, compelling the locals to struggle with dust and mud for more than past two years. The Road Division Office (RDO), Lalitpur, had submitted a letter to its Regional Directorate stating that the office will no longer take the responsibility of the road. According to the officials of RDO, the lack of co-operation from Nepal Electricity Authority (NEA), Nepal Telecom and locals has been delaying the project. “It is not possible for us to expand and construct the road as long as the electricity poles and telephone lines are not shifted,” said Santosh Kumar Karna, Chief of RDO. 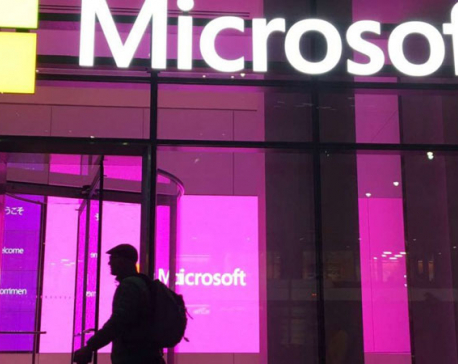 As per the deadline, the project was supposed to be completed by the first week of July. Two years ago, when the already pitched roads of Dholahity were dug up, not many had expected that it would take such a long time to repair them. In the beginning, the project was halted as the locals objected to the road expansion drive. There was a huge confusion on whether the road should be widened up to 17 or 21 meters. Few landlords who had built their houses encroaching upon the road were protesting against the demolition of their houses. Later, the Town Development Committee (TDC) finalized that the road would be made 21 meters wide. The project was just taking momentum when it was halted again due to the Melamchi drinking water project which started digging up the road for laying pipes. The process took more than a year. After a long time, the project had just picked up pace recently, providing a ray of hope to the locals. A month ago, the road was graveled which eased the transport and brought some respite to the commuters. But unfortunately that didn't remain for long. With the onset of monsoon, incessant rainfall has swept away the gravel leaving the locals in despair again. High number of potholes and mud holes on the road section has caused several accidents so far. Locals lament that they are risking their lives almost every day. Reportedly, more than six tempos, two buses and several bikes have met with accidents after being stuck in potholes and mud holes which have been a great threat to the security of passengers. The number of vehicles plying the road has decreased which has ultimately added to the woes of the locals. A lot of people were benefited when microbuses started operating from Dholahiti to Ratnapark. But due to the poor condition of the road, microbuses are no more in operating on it. As a result, three-wheelers running from Sunakothi have hiked the fares but still people have no other option. Sometimes, they are obliged to walk for long miles under the scorching sun. The road's condition has equally troubled the drivers who are unable to maintain their vehicles. “How long will we run our vehicles by filling the potholes on our own,” said Ram Bahadur Tamang, 39, a three-wheeler driver of Sunakothi. According to him, it is not possible to run vehicles after dawn in Dholahiti.